Golf in the Southwest doesnt come any better than the meticulously manicured greens & lush green fairways at Lone Tree Golf Club. Many confuse us with private golf courses but it doesnt cost a kings ransom to enjoy our world-class course. As a full-service golf club, Lone Tree features a State-of-the-Art Golf Practice facility, fully stocked golf shop and a PGA Professional staff available for individual and group instruction as well as any of your individual or corporate golf tournament needs. Please call 303-799-9940 for current rates. 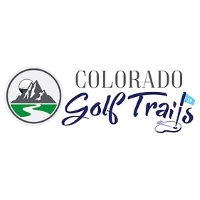 Call 303-799-9940 for rates and tee times. Contact Lone Tree Golf Club & Hotel at 303-799-9940 for more information and details on holding a golf outing at the course. Contact Lone Tree Golf Club & Hotel at 303-799-9940. Contact Lone Tree Golf Club & Hotel at 303-799-9940 for onsite or nearby dining options. This profile was last updated on 10/26/2015 and has been viewed 4,085 times.